Enhancing our amenities is a team who understands the importance of each individuals' needs for assistance. Broadmore Senior Living at Lakemont Farms has been providing quality care to seniors in Allegheny County for over ten years. We are proud of our long-term staff members, some of whom have been committed to caring for our community residents for over a decade. I would like to introduce myself and inform you that I will serve as your new Executive Director for Broadmore @ Lakemont Farms. My Name is Kelly Wright. I have worked in the healthcare industry for over 25 years and served in such roles as Quality Project Manager, Account Executive, Community Relations Specialist, Senior Services Case Manger and Hospice Account Executive. I have also worked for the Department of Homeland Security (FEMA) as a Voluntary Agency Liaison. I earned my Bachelor of Science Degree in Nursing from Waynesburg University in Waynesburg, Pennsylvania. Before moving back to Pennsylvania, I lived in Central Texas and worked as the Executive Director for Assisted Living and Memory Care and obtained an Assisted Living Manager Certification. I have recently attended Penn State University and obtained my Personal Care Home Administrator License. When I am not managing Broadmore, I enjoy spending all my time with my beautiful daughter Lia and my family. I am very excited about joining the Broadmore-Lakemont Farms family and bringing with me with some Southern Hospitality. Elicia joined the Broadmore team in April 2018 as the Business Office Manager. 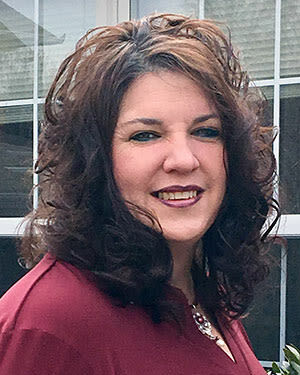 Elicia brings with her over 12 years of administrative experience having previously held titles such as Personnel/Human Resources Coordinator and Office Administrator. 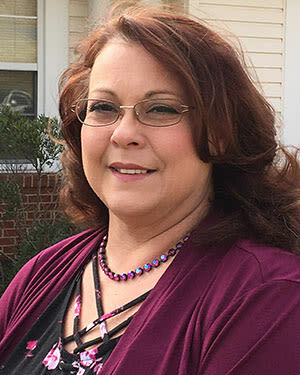 Elicia has worked in a wide range of fields including Corporate Staffing Environments, Home Health Agencies, and Hospitality and draws on her experience in these fields to bring only the best service to the Residents and Families of Broadmore. Elicia is passionate about the care our residents receive having lived with her grandparents when she was younger and agrees that our residents are our number one priority. 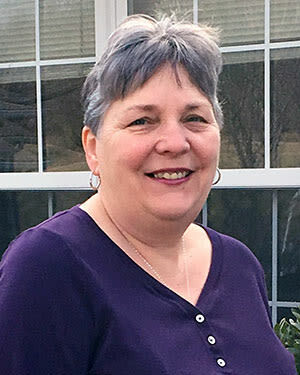 She especially has a heart for residents who are suffering from some form of Alzheimer’s having lost a grandparent to the disease in 2013 and participated in the 2018 Walk to End Alzheimer’s on behalf of the facility, dedicating her walk to his memory. Elicia is currently enrolled at Penn State University to receive her Degree in Accounting. When she is not busy with work and school, she enjoys spending time with her three wonderful children and visiting with her family. Hello, My name is Sharai Holtz, I’m your new Community Relations Director. I have worked in Healthcare for 23 years. I have held various positions in the industry. I started as a pharmaceutical representative then was quickly promoted as the District Manager supervising 21 employees selling various prescription medications. From there I worked in the Specialty market of pharmaceuticals promoting cancer, transplant, Infectious disease, and AIDS/HIV medications. I found that part of the industry to be extremely greedy, so I resigned to work hospice. Hospice was very rewarding however I became devasted as my patients passed away. My love for elderly and a true passion to make a difference in people lives lead me to Broadmore at Lakemont. I live in Canonsburg with my two beautiful and intelligent daughters. One 14 and 26 years old and a grandbaby on the way. I’m very excited to be a part of the team at Broadmore. I look forward to meeting all of you. 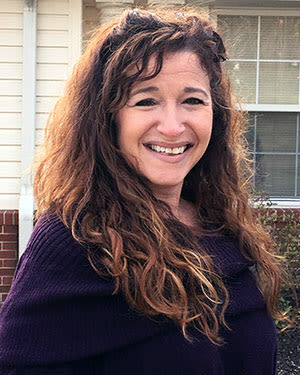 My name is Kimberly Bell I am the new Director of Wellness at Broadmore Senior living and I have been a registered nurse for 22 years. I have focused my career in long term care and skilled nursing prior to coming to personal care. I have been married for 30 years to my high school sweet heart and we have 4 grown children and 2 beautiful grandchildren. I am a true sports fan routing for our Steelers and Penquins hockey. I am a simple hometown girl who loves living in Pittsburgh I grew up in a local community near the facility and I love what I do as a nurse. I enjoy being able to help my residents, their families and my staff every day and becoming a part of the Broadmore family. I have the fun job at Broadmore Senior Living. I am the Life Enrichment Director and run the Activity Department. This job was a new experience for me as I had been in the printing industry for quite a few years. What a career change! I embraced my responsibilities and developed a program that keeps residents active, encourages them to be social and puts smiles on their faces. My job is to bring joy to their days. When not at work I relish sitting on my porch with my husband - reading, listening to music and watching the birds in the back yard. I am also very involved in my church. There is always a program or mission project that I am helping with. I am the proud mom of a son who is a Master Sargent in the US Air Force. My daughter in law also serves in the Air Force as a Tech Sargent. They have 2 daughters – who of course are the smartest, brightest and most beautiful granddaughters ever!! Vacations these days are spent visiting them wherever they are stationed. 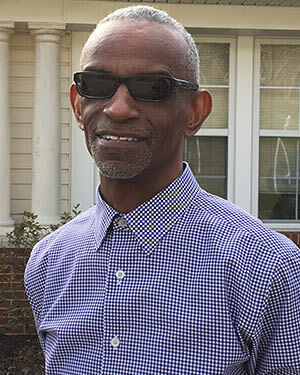 For the past 20 years I have been the Maintenance Director at Broadmore at Lakemont Farms. My former experience was working maintenance for a national hotel chain in the Pittsburgh area. As I passed the construction of this building on my way to work I thought it would be a great opportunity. A new company in the area and a new building. I have worked here since the day the building was opened! I have two children – both working professionals. I also have a granddaughter who is attending a local university. I am a proud grandpap! When not working, I enjoy spending time outdoors - hiking, bike riding and just enjoying nature. 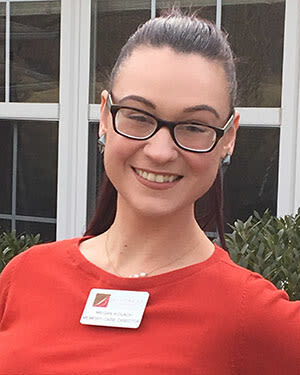 Megan Kovach is the Memory Care Director at Broadmore Senior Living where she is responsible for creating and scheduling recreational and therapeutic activities for all residents. Previously, Megan was a Memory Care Activities Assistant at another assisted living facility in the Pittsburgh, PA area. 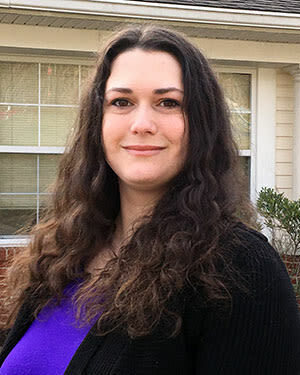 A graduate of California University of Pennsylvania with a bachelor’s degree in Gerontology, Megan has made it her mission to improve the lives of older people through engaging and purpose-driven activities tailored to every resident individually.